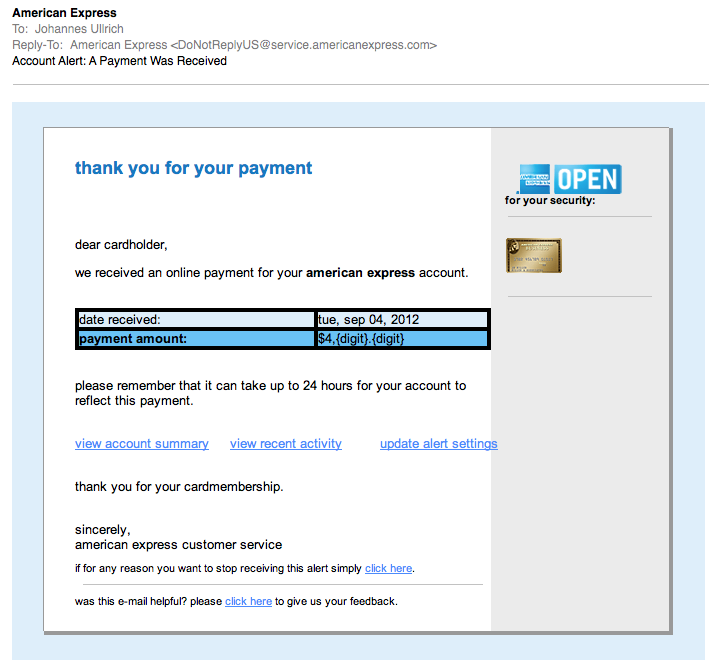 Finally, a real e-mail from American Express. I blurred the amount and the last few digits of the account number. I also replaced the image of the card. 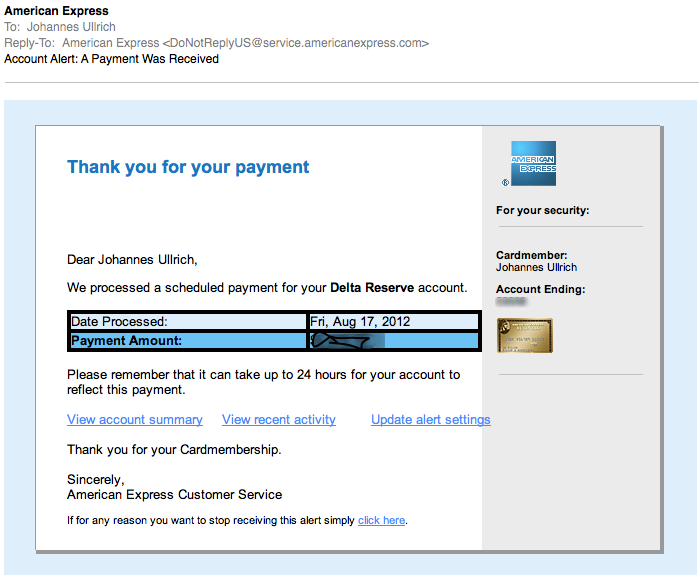 But as you can see, the real e-mail is VERY CLOSE. 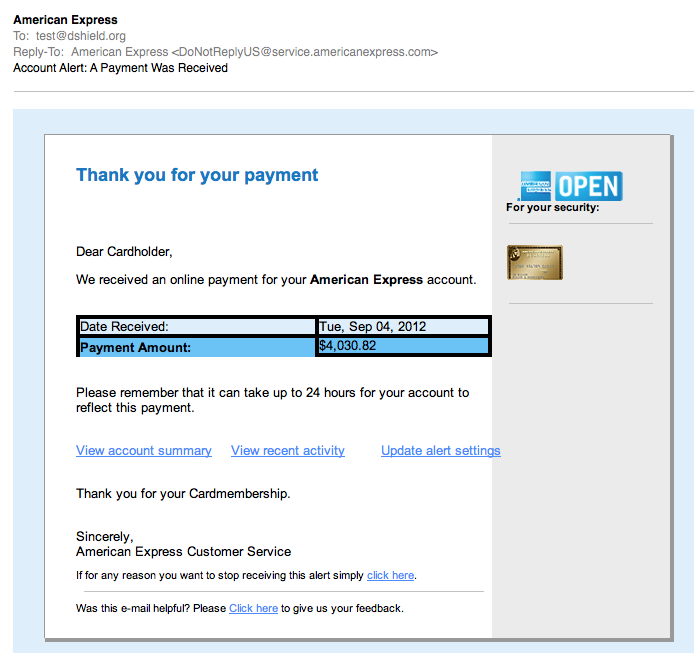 Probably the most significant difference is that the last digits of the account number are missing at the fake. But I doubt many people look for this.